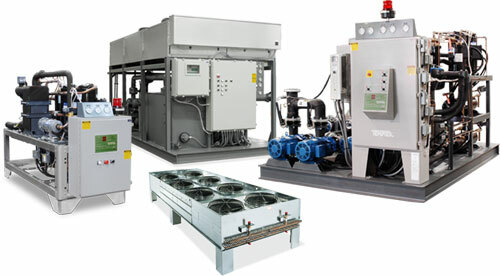 Central water chillers are designed to circulate a fluid medium (typically water, or a water-glycol solution) through a process application for COOLING. These chillers can supply temperatures between 20°F to 65°F. Central units provide enough capacity to serve multiple process applications. Ambient air is used to dissipate process heat. Plant water (tower, city or well water) is used to dissipate process heat.